Howlin' Wolf Records: SIX STRINGS: Silva Screen Records: Pino Donaggio’s "DON'T LOOK NOW"
Silva Screen Records: Pino Donaggio’s "DON'T LOOK NOW"
In February 2017, Time Out magazine polled actors, producers, directors and movie mavens to create a list of the top 100 British films of all time. Forty-four years after its release, Nicolas Roeg's Don't Look Now was a comfortable winner. Defined by them as, "a movie whose every glorious frame is bursting with meaning, emotion and mystery, and which stands as the crowning achievement of one of Britain’s true iconoclasts and masters of cinema". Based on a Daphne Du Maurier short story, Julie Christie and Donald Sutherland play a couple who travel to Venice after the tragic death of their daughter. As well as composing the score, Pino Donaggio performed a substantial portion of it himself. He played the piano pieces, despite the fact that he was not very accomplished at playing the piano. These pieces are usually associated with Christine in the film, and Roeg wanted them to have an innocent sound reminiscent of a little girl learning to play the piano. Donaggio claims that since he was not very good at playing the piano, the pieces had an unsure style to them, perfect for the effect they were trying to capture. The song - "I Colori Di Dicembere" - was recorded by Iva Zanicchi and released on her 1974 album "Amare, Non Amare". It is not heard in the film and was only included on the Italian pressing of the soundtrack where it was released as "A Venezia... Un Dicembre Rosso Shocking". This new edition of Donaggio's classic score reinstates the song and reverts to the original track sequence and edit. 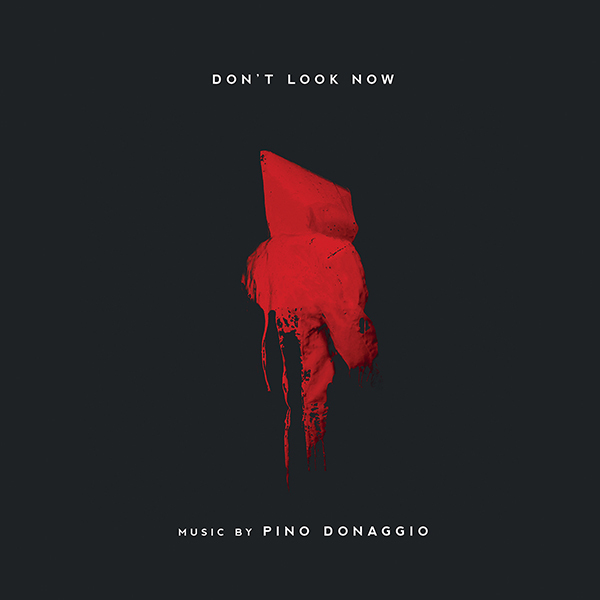 Don’t Look Now was Pino Donaggio’s debut film score after which he went on to compose music for The Howling, DePalma's Carrie, Body Double, and Dressed To Kill, Piranha, Seed of Chucky.